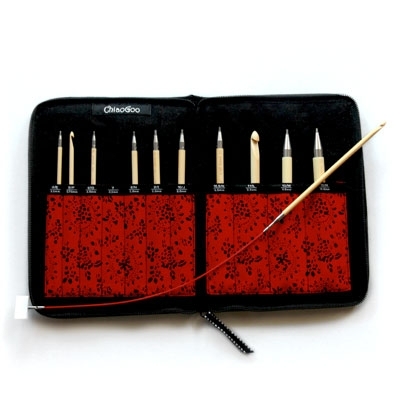 T-Spin Interchangeable Tunisian Crochet Hooks are made of Moso bamboo with a stainless steel join, and feature a pointy head to help get into your stitches. The size is laser marked on each hook, and a smooth transition between bamboo hook and steel connector ensure there's no drag while working. Sizes 3.5-5.0mm (US E through US I) will fit onto a small [S] cable, and sizes 5.5-10.0mm require the use of the Small Cable to Large Tip adapter (included).